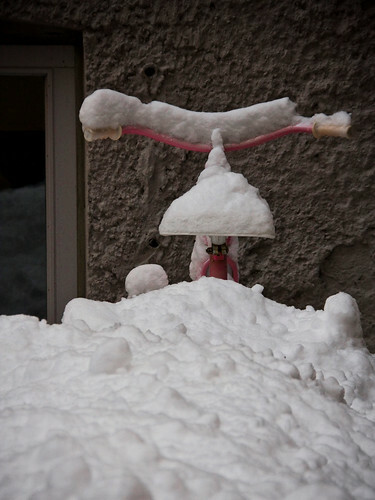 During the Climate Conference there were a number of activists using lack of snow as a symbol for climate change issues. 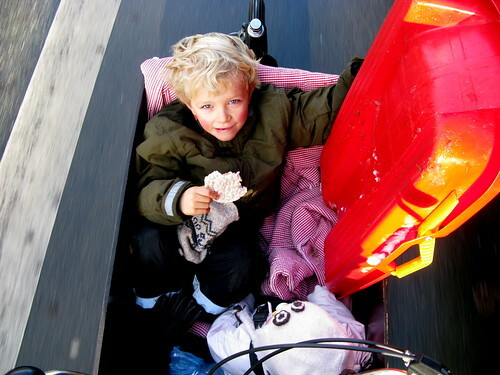 Ironically, and irritatingly for some, it started snowing a couple of days ago here in Copenhagen, as the photo of Lulu-Sophia's tricycle attests. I had actually been hoping that it would snow simply because in all the countless interviews I've given this past ten days, in temperatures hovering around freezing, everyone was asking how on earth we have gotten people to ride bicycles in 'this weather'. 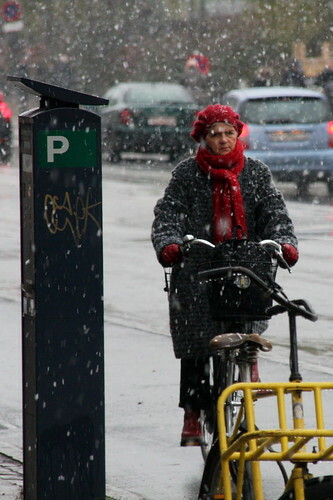 With the snowfall - only about 10 cm in Copenhagen but other regions of Denmark have recieved 35 cm alone today and 50 cm in all - journalists have been out filming and photographing the masses of cyclists squinting into driving snow in temperatures down to -20 with the wind chill. Wearing regular winter clothes, of course, and in one of the wealthiest countries in the world. It really does wonders for selling the very simple idea of urban cycling. You can't pay for this kind of advertising of cycling as a feasible, acceptable and normal form of transport. So let it snow, let it snow, let it snow. 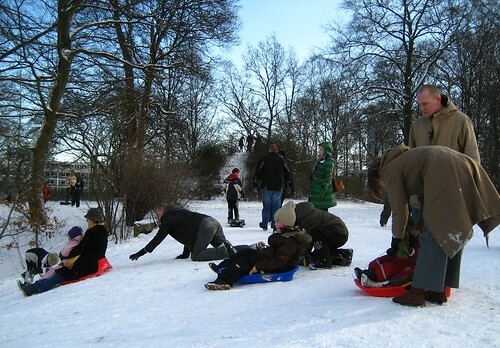 Not least because we can go sledding tomorrow, me and the kids. On the Bullitt, of course. 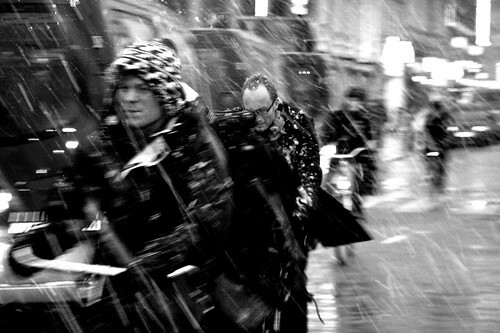 Here's a slideshow from my Cycling in Winter Flickr set.